You might know I’m a bit of a fan of Chris Holm’s work — you can find my reviews of his Collector trilogy here, and of his new book The Killing Kind here — and we’ve had some great interactions (including some signed bookmarks for the Collector series, featured in my review of that trilogy! ), so I was excited to be contacted and asked if I wanted to feature a post from him about the journey behind writing The Killing Kind. It’s a bit of a jump from publishing SF/F Chandler/Hammett pastiche with Angry Robot to writing a book set in reality (albeit the dark underside of reality I wouldn’t want to visit, unless guided by an author like Chris in a safely fictional vehicle)… but as you can see from Chris Holm’s post here, maybe it has something in common with the Collector trilogy after all. It just wouldn’t die, you see. It began, as many criminal enterprises do, with a layoff—with a man, suddenly out of work, nearing the end of his rope. Writers don’t often talk about their day jobs, but I’m a scientist by training. For a time, I thought I wanted to be one of those bug hunters the CDC dispatches whenever there’s an outbreak of something deadly and exotic. (My wife, as you might imagine, was thrilled.) I was serious enough that I enrolled in a microbiology PhD program at the University of Virginia—but ultimately, it didn’t stick. A field that challenging demands one’s full attention, and I couldn’t bring myself to shelve my dream of becoming a published author. So I dropped out of grad school, took a job as a researcher for a small biotech startup, and got writing. Nine years, one unpublished novel, and a handful of short stories later, that startup folded—and for the first time since I was sixteen, I was jobless. So when my buddy Steve Weddle told me he was launching a new print magazine and asked if I’d like to contribute a story, I said sure. He couldn’t afford to pay me, but I didn’t care. I needed something to do to keep me from climbing the walls while waiting to hear back on all the resumes I sent out. So, caution thrown, I sat down and wrote “The Hitter”—a hard-bitten tale of violence, loss, and redemption, featuring a hitman who only hits other hitmen. It came out fast. Crazy fast. And at 11,000 words, it wound up more novella than short story. “The Hitter” appeared in Needle’s second issue. To my surprise and delight, people really responded to it. 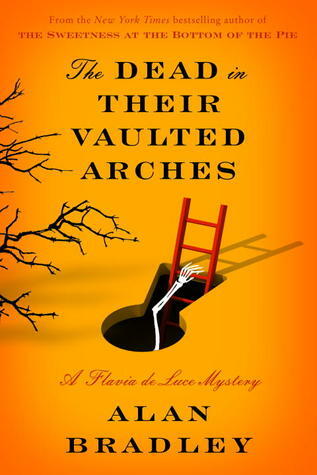 It was nominated for an Anthony Award, and selected to appear in THE BEST AMERICAN MYSTERY STORIES 2011. I’m pretty sure that means I owe Steve a beer. But for some reason, the story still nagged at me. Unlike all the other shorts I’d written, it felt unfinished—which was odd, since it was already longer than the lot of ’em. I told myself to leave it be. That I shouldn’t mess with a good thing. Then, one day, I woke up with an idea that changed everything. I could pull back the camera. Shift the narrative from claustrophobic first-person to sprawling third. Show not just the (hopefully redemptive) journey of the hitman protagonist, but also that of the antagonists who want him dead, and those who hope to bring him to justice. A few months later, I’d finished the first draft of THE KILLING KIND. I’m grateful, if a bit befuddled. All I was trying to do was make this story finally shut up. I’m nearly finished with book two, and it hasn’t yet. It’s almost enough to make me wish I’d been laid off ages ago. Chris Holm is an award-winning short-story writer whose work has appeared in a number of magazines and anthologies, including Ellery Queen’s Mystery Magazine and THE BEST AMERICAN MYSTERY STORIES 2011. His critically acclaimed Collector trilogy made over forty Year’s Best lists. 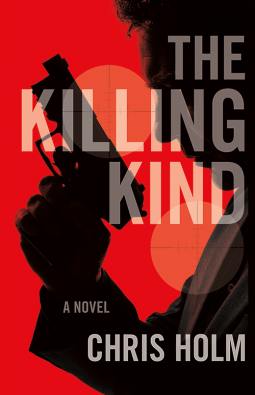 His latest novel, THE KILLING KIND, is about a man who makes his living hitting hitmen, only to wind up a target himself. For links to Chris on Twitter and Facebook, visit www.chrisholmbooks.com. 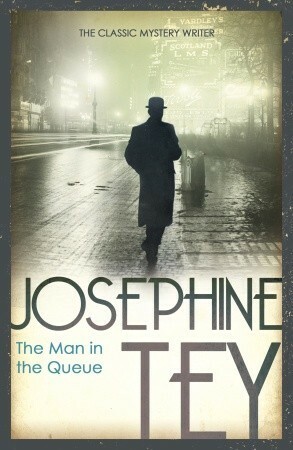 It’s a solidly entertaining mystery, I suppose, aware of the genre and making sly little jokes at its expense. It doesn’t really sparkle, though; I felt that the culprit was made obvious by their behaviour, and not just because they acted guilty — also because they had that whole cliché Freudian repressed sexuality going on, which seems to crop up in crime fiction of that period far too much. Gaudy Night is another example, though it does sparkle, because of the character development that’s going on too. In this one, despite his engagement, and the appearance of some regular characters, it isn’t really about Alleyn or development of him or the minor characters. In fact, the POV characters are pretty much two young lovers who we may not even see again. 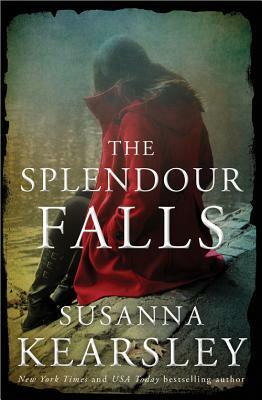 I forgot I’d requested this on Netgalley, and ended up getting it via Bookbridgr as well. Oops! Especially oops considering I wasn’t a big fan of Maitland’s last book, and I was starting to think her recipe was getting a little past its sell-by date. There were ways in which this book was just as predictable for Maitland if you’ve read her other books, but something about the writing/tone kept me going, and I did enjoy it. It’s full of dastardly characters, of course, and if there’s a sordid torturous thing you can think of, one of the characters has probably done it. Even one of the most innocent characters has a downright chilling moment. But there are things which got my attention and evoked some pathos, too: the friendship of Felix and Regulus, Gisa’s care over Peter, Gaspard’s fear for Vincent. I think Vincent’s voice was really well done — as long as Maitland was intending him to sound like a sociopath, anyway. The way he manipulated people, only saw his own gain, twisted every situation to be about himself… Well, there are people like that. 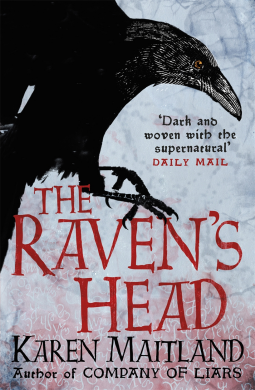 Overall, more enjoyable than I found the last couple of Maitland’s books, but the medieval historical fiction with touches of paranormal that might just barely be explained away, plus awful characters doing awful things, and dire secrets, etc, etc… It’s getting a little old. Very late, I know; I have to be in the right mood to read this series, which is the only excuse I can think to offer. Unfortunately, with this book, I couldn’t even get into it when I was in the mood, because it feels like it’s well and truly jumped the shark. It’s always been a bit of a ridiculous series, and I accept that, but this one was just too much. The whole idea Flavia had about resurrecting her mother was just… Flavia is a precocious little thing with some very odd ideas, but it’s beyond believable even for this series that she would think she could bring back someone who was, what, ten years dead? With ATP and thiamine. 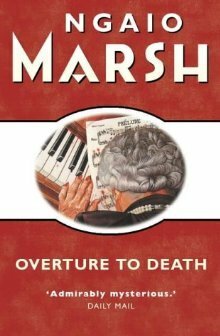 Add to that the whole pomposity of the de Luce family spy ring, and the sheer casual callousness of the murder in this book — a plot device, one which wasn’t even really investigated — and the fun has gone out of this for me. I’m not going to read the next book. I was excited to get this ARC. I loved Holm’s Collector series, and though this goes more into the detective line and away from the fantastical aspects that got me into it, I still love Holm’s writing, and I love the concept. I don’t know if this is meant to become a series or something — there’s room for it, given the ending, but it would be awkward to put the emotional punch into it. The main character is already a ghost, cut off from family and friends: there’s basically only two people he cares for, and by the end of this book, one of them is dead and the other is going into witness protection where she should, in theory, be safe. Still, if Holm decides to write more, I trust him to do it well. There’s a redemption plot here, after all: Hendricks is killing hitmen with the eventual goal of redemption. When exactly he might reach that, I don’t think the character knows. Anyway, this has slick writing, with just the right levels of detail. I love that it has some queer characters, too, just casually in with the rest because that’s how it works. I felt like I knew what was coming a little too often at the end, but maybe that’s just in comparison to mysteries where the end is deliberately from out of nowhere. I don’t actually know why I requested this on Netgalley, but since I did, I presume something caught my interest. It didn’t display very well on my ereader, so I waited and grabbed the book when I saw it in the library. The format basically reminds me of House of Leaves, but it does end up making more sense. 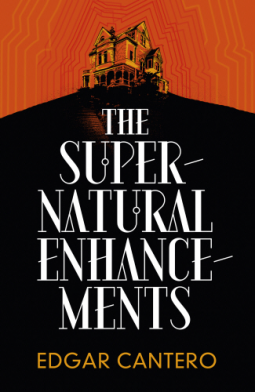 Some of the supernatural stuff is almost incidental to the plot; there is a supernatural thread in the story, but it’s not really based in the house. It’s not like Weird Fiction in that way where the setting is itself a character. Overall, I’m not sure what to think. I’m not opposed to epistolary novels, found footage, etc, but it has to come together really well, and it didn’t always work here. Honestly, I found myself skimming some sections because there just wasn’t enough of significance to justify the inclusion of certain scenes. It might work well on the screen, to establish the format firmly, but here… it felt like a waste of space. It is kind of mesmerising, though. I read it pretty much in one go, and I wasn’t bored while reading it — sometimes confused, a little unsatisfied, but not bored. In the end, I was curious enough to flip back through to look back at hints and see how things came together. It’s not really my thing, and nor would I know who to recommend it for, but there’s a lot of interest here for the right person. Looking at the reviews for this book, I had to laugh at how many people compared Kearsley’s work to Mary Stewart’s. Including myself, I’m afraid, which leaves me wondering if Kearsley embraces that or is rather sick of it by now. But truly, some of the plot things here are right up Stewart’s street, too: the moment where the villain kisses the heroine, that charged moment between them. Except that there’s something more subtle here: the villain isn’t purely villainous, but motivated by love as well. There seems something genuine in his attraction to the heroine, his interest in her. And Kearsley is much harder on my heart. As with Season of Storms, I found myself falling for a character who didn’t make it to the end of the book. Kearsley did a great job with character, much more so than Stewart: I can believe in what happens between the protagonists, I adore a lot of the characters, and all of them have an inner life. There is something dreamlike about the whole book, with these moments of clarity where you really get to know characters and see what makes them tick, even less significant ones. The plot itself is a bit convoluted, and I could perhaps have done without the drama of Hans and Isabelle’s story, the convenient way everything comes back together at just the right time… but then, it was exactly what I expected from the genre, and worked out with sympathetic characters and a sense of place, it doesn’t come off too badly. 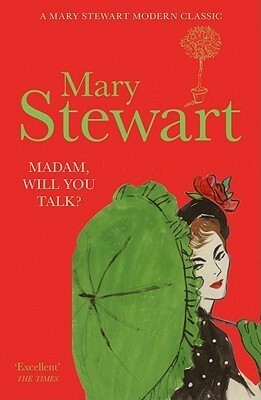 Review – Madam, Will You Talk? Not my favourite of Mary Stewart’s novels, but it’s what the library had when I felt like revisiting. It probably hasn’t really been long enough since I first read them, but ah well: they’re still fun. Stewart was brilliant at establishing a sense of mood and place: a hot French town, dust on the roads, shade under the trees, a cool breeze when you drive fast but sticky and heavy when you’re stuck in traffic… I enjoy Charity’s character, her past, and the fact that despite that tragic past, she uses what her husband taught her about life and love to move on, and Stewart never implies that her love for either the new love or the old diminishes the other. The relationship itself, well. The constant descriptions of the love interest as dictatorial are exactly right, and one can’t help but think the whole relationship a little off-putting. She’s terrified of him at first, she thinks he’s a murderer, and he’s violent to her, and yet… There’s a passion in the relationship, which is something I do like to see, but his violence was waved away all too easily. A different era, I know… and yet. The mystery itself, well: it’s melodramatic, all kidnapping and attempted murder and links to Nazism. But it works as long as you’re in the right headspace, and I was, since I’m well used to Stewart’s work. 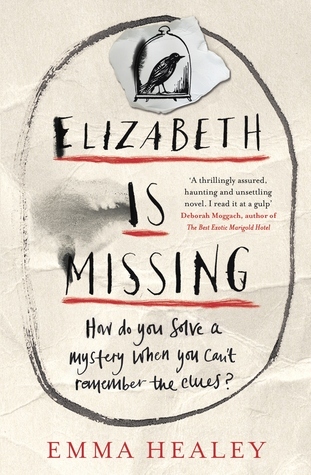 Elizabeth is Missing is a very interesting play on the unreliable narrator. Maud isn’t unreliable because she’s lying or because she has anything to hide – or not exactly. She’s unreliable because she can’t hold onto her memories or make coherent sense of the things around her. It might sound a bit like a weird mystery novel: you could imagine it like that, with Maud being really sane but being gaslighted by the people around her into believing she’s crazy, and that’s why none of them will listen to her when she talks about Elizabeth. But it’s more mundane than that, at least for one strand of the plot. The real mystery is in Maud’s memories of her sister, Sukey, who went missing. There’s a great sense of time and place here, putting it so firmly in post-WWII Britain in the same way as those youthful memories are the most vivid for elderly people. There’s a lot of really great description, too, which is partly facilitated by the fact that Maud doesn’t remember things right. You can make the most mundane things fresh and new if they’re a surprise to the narrator; you can tilt the world slightly off-balance like that. Healey does pretty well with that, and with the narration; to me, she balances a lot of things very well. For example, it’d be easy to show the impatient daughter who just won’t listen to her senile mother. But it’s not like that in real life for most people; it’s just that people are impatient, and will say a sharp thing or roll their eyes or utter something sotto voce just to help themselves cope with what’s going on. And we see Helen like that; we see her trying to be patient, trying to understand, and sometimes coming up short. If there’s a carer in the world, especially a family member, who doesn’t feel like that, well, get them sainted. It’d also be easy to really mess up the narration, over-exaggerating the things Maud forgets, making her memory come and go too conveniently for the story, smoothing over the edges of the illness to give us a tidy ending. Healey doesn’t fall to that temptation, either. I can see why you might find it tedious, too painful to read, too disjointed; I liked the slow unfurling of the mysteries, even when I expected the endings, and I laud Healey for writing an elderly heroine with patience and understanding.